iPhone XR features a 6.1-inch Liquid Retina display — the most advanced LCD in the industry. Advanced Face ID. The smartest, most powerful chip in a smartphone. And a breakthrough camera system. In six stunning new finishes. 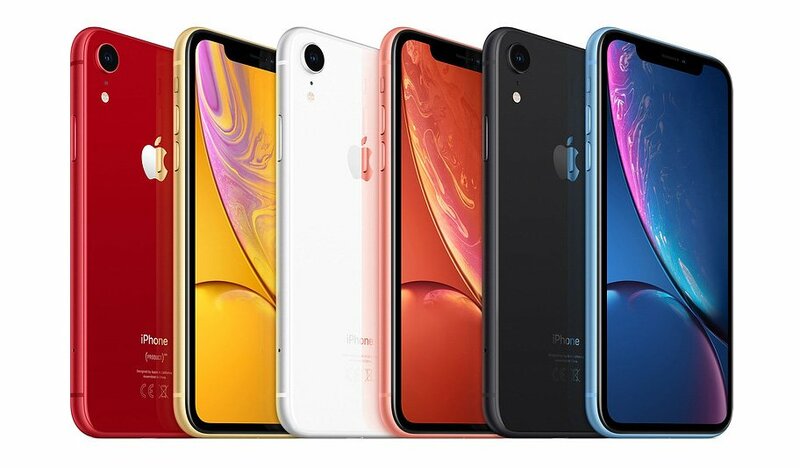 iPhone XR is splash, water and dust resistant, and was tested under controlled laboratory conditions with a rating of IP67 under IEC standard 60529 (maximum depth of 1 metre for up to 30 minutes). Splash, water and dust resistance are not permanent conditions, and resistance might decrease as a result of normal wear. Do not attempt to charge a wet iPhone; refer to the user guide for cleaning and drying instructions. Liquid damage is not covered under warranty. 7.57 x 0.83 x 15.09 cm.